Wan Ling Tea House tea's compete in blind tastings by food and drink professionals with outstanding results. If you are looking for superior quality, speciality award winning tea. You have come to the right place. 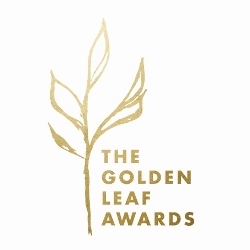 Back for 2017 the Australian Tea Expo again hosted the Golden Leaf Awards. This year even bigger and better, a great testament to the development of the Australian tea market. Wan Ling Tea House is proud to announce that all of our teas received awards and out of the two major categories we entered, Oolong and Puer, we were awarded Gold. For 2017, we extended our entries to include our new organic silver needle white tea, which are pleased to annouce won Silver. Gary Goodyer of Wan Ling Tea House Australia said, "Considering the increased competition this year from tea companies around and how many teas were submitted, these awards are a true testament to the Wan Ling Tea House team's outstanding tea selection abilities. These awards truely signal our goal of sourcing and sharing the best quality, exclusive tea to Australian and New Zealand tea lovers". Wan Ling was very excited to receive the news of the awards. This year's entries covered teas from across her home province of Fujian, including white tea from the north, Bai Ya Qi Lan from the south and of course Tie Guan Yin from her home town of Anxi. Wan Ling said, "Speciality tea is becoming more and more widely understood around the world. These awards really show that Chinese teas are some of the best in the world and that the tea farmers really excel in their cultivation and production of different style teas. We look to sharing more tea with everyone. Well done to the Wan Ling Tea House Australia team for all their hard work and efforts and congratulations to all the other entrants". 2015 saw the inaugural Australian Tea Expo being held in Geelong, Victoria. Wan Ling Tea House is proud to announce that all of our teas received awards and out of the two major categories we entered, Oolong and Puer, we were awarded the top prize for each. Furthermore our Sheng and Shu Puerh teas won the individual speciality sub-categories too. Gary Goodyer of Wan Ling Tea House Australia said, "The wins are a signal we are on the right track to achieve our goal of sourcing and sharing the best quality, exclusive tea". Wan Ling was very excited to receive the news of the awards. Her home town Tie Guan Yin Oolong tea impressed the judges and received awards for the speciality sub-category for light Oolong tea, as well as the overall Oolong category. Wan Ling said, "it is fantastic news that our Fujian, Anxi Tie Guan Yin oolong tea has been acknowledged in Australia as an outstanding tea. From the growing, harvesting, production through to getting the tea to the customer, a lot of people put a lot of effort to making this simple leaf the best it can be. The Wan Ling Tea House team looks for bringing superb Chinese tea to more people in Australia over the coming years. A big thanks to the Wan Ling Tea House Australia team for all their hard work and efforts". For 2015 Wan Ling Tea House decided to enter slightly more unusual teas. The team were a little apprehensive about how the judges would take to these, however great tea shines through. We entered our Bulang Mountain cooked Shu Puer, the superb value JiDi raw Sheng Puer and the new to the Tie Guan Yin range, 'Nong Xiang' Zheng Chao Guan Yin. 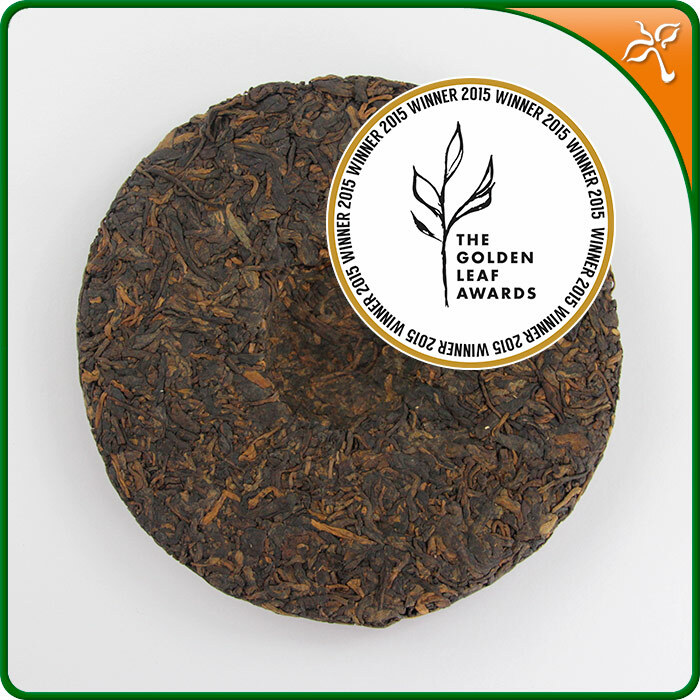 The two puers received single star awards and the Tie Guan Yin caught the judge's attention, scooping a two star award. The judge's commented that the Nong Xiang style Tie Guan Yin had an, "Excellent leaf. There's a good baked quality here. There are light, gentle brassica notes alongside gentle sweetness. It's clean, rich and full flavoured". We are quite intrigued to know how the judging for the Sheng Puer was completed and whether the judges knew exactly what the tea was. 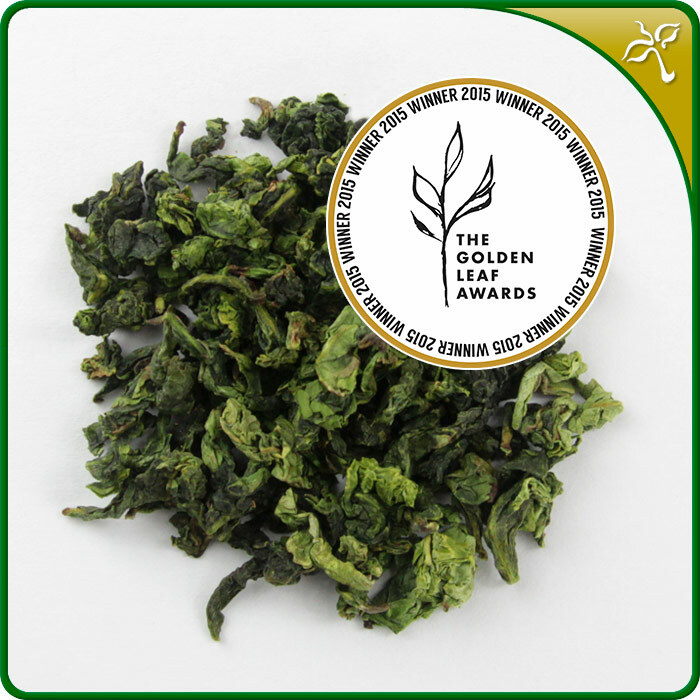 At present the Great Taste Awards only have loose leaf tea categories for green tea and single estate tea. Our Sheng Puer was entered as a green tea. The judge's comments were, "Beautiful leaf. A little high fired, but rather intriguing". Wan Ling was pleased with the outcome saying, "It is great that we can enter more unusual teas such as the Puers and the quality of the teas are acknowledged. So much of our work is educational and giving people the chance to try different teas that they may not have had the chance to try before. We hope these awards help raise the profile of Puer tea and help introduce them to a whole new audience". Overall it was another fantastic year for Wan Ling Tea House, yet again it was a full house. All three of our entries received awards. Looking to 2016 we look forward to pushing the envelop even further. Champion Teas. Top three star awards four years in a row. We are proud to announce that our speciality loose leaf teas have distinguished themselves again at the 2014 Great Taste Awards. For 2014 the Wan Ling Tea House team selected two distinctly different teas to enter to the awards, our large leafed Dian Hong Yunnan Gold Black tea and a classic style Tie Guan Yin Oolong tea. Both teas excelled in the judging. For our Yunnan gold black tea, the judges commented, "Black leaf producing a clean liquor of interesting character: slightly smokey, a touch nutty, creamy yet with a pronounced astringency". Wan Ling was especially pleased that her home region Anxi Tie Guan Yin Oolong secured another three star award. Wan Ling commented, "this year we decided to enter one of our traditional, classic style Tie Guan Yin teas. Although uncommon in the UK and Europe these teas are very popular in China. This tea is has been traditionally wood roasted to give it depth and warmth. The tea produces a deep yellow-golden liquor that is smooth on the tongue and almost honey like on the throat. We are so pleased that the judges enjoyed the tea and we are looking forward to a wider audience getting the chance to try this super style of Oolong tea from Eastern China". With the seasonality of tea, each year's harvest produces significantly different outcomes. Wan Ling Tea House strives to select superb, small batch, single farm/mountain teas that capture the terroir of the local region. Maintaining this consistency year in year out involves dedication, time, travel, solid relationships and passion. Wan Ling would like to thank the extended Wan Ling Tea House team and all the artisans that dedicate themselves to producing outstanding teas and tea wares. Together we look forward to bringing the world consistently top notch loose leaf teas. Another great endorsement of our tea sourcing policy and of our tea artisans. 2013 has seen our very popular Grade A Jasmine Green Tea Pearls winning a three star award and also helping Wan Ling Tea House become nominated for one of the prestigious golden forks. As the cherry on top of the cake our best seller, Jiu Jiu Jiu Guan Yin as received a two star award. The competition in 2013 was even more intense. 405 judges tasted and sampled over 9700 products from more than 2100 producer. The judging was spread over nearly two months, with the final 125 three star winners being re-assessed in order to select the lucky winners of the sort after golden folks, the winners of which are to be announced in September 2013. Judges comments on the award winning teas included, "An attractive liquor with some good colour. Well made. Delicate, sweet, light flavour with excellent length", for our Green Tea Jasmine Pearl and for our Jiu Jiu Jiu Guan Yin, "Rounded lemon notes. Gentle citrus. Keeps going and lasting. A pretty, neat leaf". Don't miss out, getting shopping today and try some of our award winning teas. Following on from our tremendous 2011 showing at the Great Taste Awards, Wan Ling Tea House was back in 2012 for another successful year. From our three entries, we won three awards. Three out of Three! Our competition grade Can Sai Ji Pin Guan Yin Wang lived up to it's name and secured a three star award. The superb AA grade Green Tea Jasmine Pearls were the only tea in the Great Taste Awards blended loose tea category to receive the prestigious three star award. Judges comments on the Jasmine Green Tea included, "Beautifully rolled, well made and manufactured. A clean, wonderful tea with gently peachy flavours. "2004 aged Bai Mu Dan White tea. Scooping the one star award for this tea is especially rewarding as it is relative new comer to the Wan Ling Tea House collection and a tea that is not widely available. Read some more including comments from both Wan Ling and James in our Great Taste Awards news article. For 2012 competition was even stiffer, with 8,800 entries from over 2,500 companies. The two three star awards meant that Wan Ling Tea House succeeded in getting two products in the final 123! In our first time entry to the Guild of Fine Food'sGreat Taste Awards not only did Wan Ling Tea House's Hong Xin Te Chun Guan Yin Wang win the top three star award, the judges were so impressed that we also scooped the Speciality Importer award too. The Guild of Fine Food and the Great Taste Awards are acknowledged as the UK's as the most trusted and recognised food and drink awards. It is a great achievement and goes some way to acknowledge the hard work that so many people have put in to help us build our dream and select the superb teas we stock. The selection process means that teas must meet a complex mix of criteria so we can bring excellent teas to our customers at price that is right, whilst supporting the artisan farmers and estates who in turn support entire communities. A big thank you the extended Wan Ling Tea House team and everyone else that has played a part. Bai Ya Qi Lan Oolong Tea. Classic southern Fujian Oolong Tea. The best Tie Guan Yin. Guan Ying Wang Competition grade Tie Guan Yin - Premium quality, limited availability. Ancient tree raw puer tea, rich and smooth with a long aftertaste. A valuable addition to your Puer tea collection. Discover why the Great Taste Awards judges consistently enjoy our teas. Incredible value puer Ancient tea tree sheng puer. Excellent quality raw puer at an affordable price.